Sugar Swings! 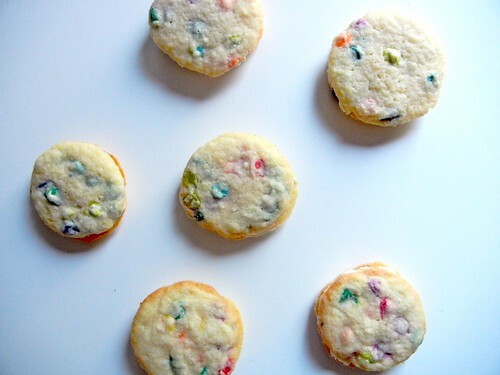 Serve Some: whoopie cookies with homemade rainbow chips....! ...so although st paddy's day has come and gone.....i still think rainbow stuff works pretty much any time of the year! 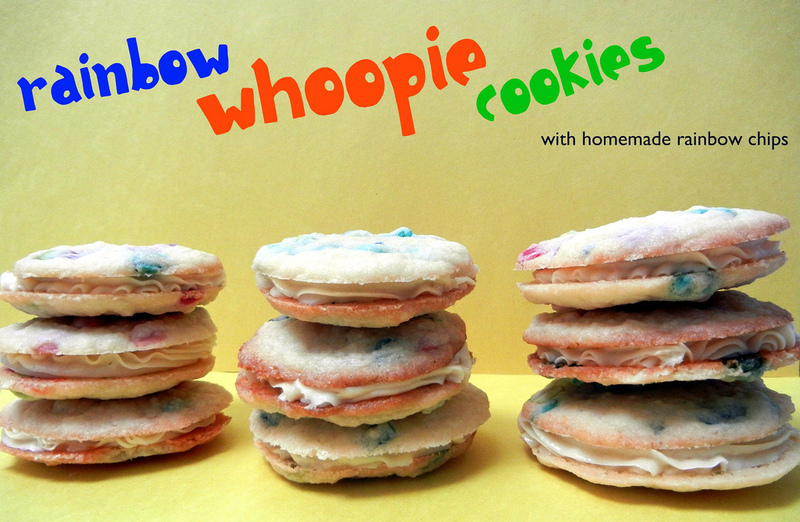 .....ok and i know these are really just filled sandwich cookies....but i was thinking of making whoopie pies but ran out of time and decided to do sugar cookies.....so i'm going with "whoopie cookies"...! .....and also had some left over swiss meringue buttercream so decided to make sandwich cookies aka whoopie cookies!....sounds more fun than "sandwich cookies"....right?? ....some really beautiful weather in the nyc area....so hope you are enjoying the end of the weekend wherever you call home as well....! life is pretty darn good.....thanks for stopping by and have a fantastic week! 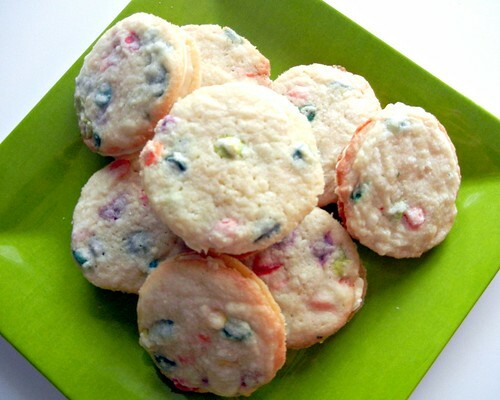 I love your homemade rainbow chips and those cookies look delish! I love how you made the chips! These look awesome! I love your rainbow chips!!! That's so cool! Those colored chips are adorable! I am following and would love to have you visit my brand new blog and follow too, if you'd like! My first link party/give-away started today and goes through Saturday. I hope you'll come by and share these! I LOVE, LOVE, LOVE the rainbow chips! Seriously brilliant! Yep, rainbows are for every day of the year! Oh these look so good and pretty. You're a genius! I am so totally doing that next time I have leftover melts instead of throwing it away. LOVE that, and I love these whoopie pies! What a cute idea! Love all the colors that you did. yummy! 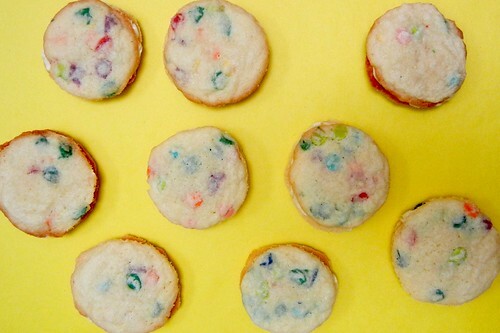 and how adorable are those rainbow chips?!?!? Great idea. I live in Austria and you can't even get chocolate chips here. We are going to make these. Thanks for sharing. i found you on Happy Hour Projects! As long as they taste great! And believe me not all my stuff comes out perfect! I've had a couple posts like that!! I love that you attempted making them!!! Just to let you know I featured your wonderful project on homework today. Come over and grab a featured button if you’d like. Have a great weekend. oh that is absolutely brilliant! Thanks so much for sharing that awesome tip! What a creative idea! I've never seen anything like these coloured chips before. 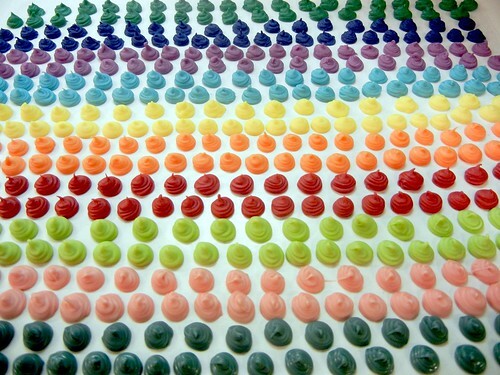 They could brighten up so many recipes!